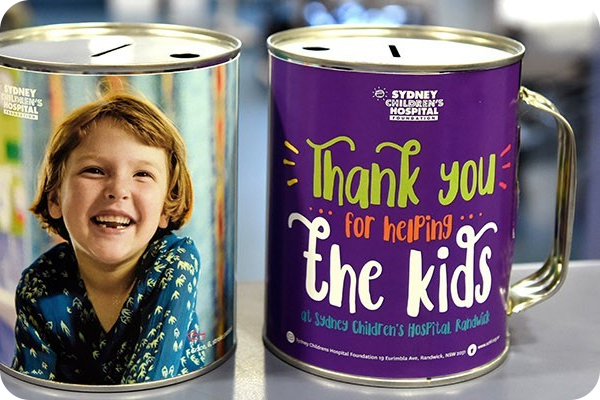 Collection tins can be picked up from Sydney Children’s Hospitals Foundation’s office in Randwick or delivered to your business. Once the tin has been filled, simply return it to us and we’ll send you a thank you certificate for your business and customers. To request one or more collection tins please complete the form below. Every new day is a chance to change a life. Please complete the form below to request a collection tin and we'll be in touch with you shortly.